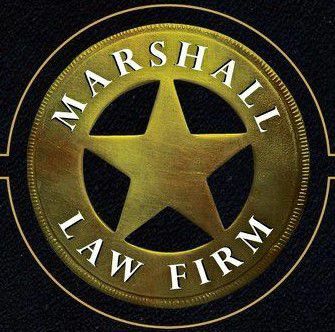 The mission of Marshall Law Offices Montana is to provide value for our clients in a manner that promotes long term relationships and short term success for all of us. While “winning” may not be “everything” or “the only thing” to all people, our practice is designed to accept only those cases where we believe that we can help people succeed and overcome their current legal troubles. Like good friends, we will tell you, honestly, and, in the beginning, whether or not we believe that we can provide meaningful and valuable legal assistance with your particular circumstances. We understand that your legal problems are very real and unique to you. We listen to our clients and use our experience to help make bad situations better, and provide solid value for your money. Winning is important to us. We take only the cases where we believe that we can help make your situation better than it is. While helping clients obtain justice is important to us, we also understand that your happiness and success are important for our future, as well. We strive to take only those clients that we believe that we can truly help, and those clients who we expect to have good relationships with for life. Marshall Law Offices Montana, formerly Marshall and Smith, has been in continuous operation in Montana since September of 1994. We are a full service general practice law firm that emphasizes both civil and criminal litigation, settlements, trials and appeals throughout Montana. We find pleasure in providing “small things” such as the preparation of a simple will as much as we enjoy obtaining a “not guilty” verdict for an innocent client, winning a complicated child custody battle or obtaining a multi-million dollar settlement or verdict in a catastrophic injury or death case. We have a long history that has involved some of Montana’s largest verdicts and settlements. Our history also includes, however, helping hundreds of ordinary Montanans with problems that are significant to them. Our goal is to help working Montanans and small businesses obtain justice against large out of state corporations, individuals and government agencies and, where possible, to help people avoid entanglement with litigation and the legal system. We choose these cases carefully, however, and not all indigent and deserving clients can receive help through this approach. We do our best, however, to help everyone who calls us obtain the best legal services they can afford, help direct some individuals to prepare simple documents on their own and provide at least some direction to all of those who need, and deserve, legal help. Where possible, we like to be able to establish life long relationships with our clients for the majority of their legal needs. Sometimes, however, the best thing that we can do is refer you to another lawyer. Go to “Practice Areas” to see some of the areas in which we have successfully assisted deserving Montanans over the past two decades.